As soon as Gill Pratt was brought in to head the new Toyota Research Institute, he made it clear that the automaker's advanced autonomous drive and robotics research arm would not try to outdo the competition with the most ambitious deployment goal or provocative rhetoric about disruption. Instead, the former Massachusetts Institute of Technology and Defense Department researcher staked out a quietly thoughtful and farsighted approach to automated driving technology that strikes a distinctive contrast to others in the often hype-happy segment. Pratt has become a distinctive voice on both safety issues and the potential for autonomous drive technology to augment human drivers, rather than just replace them. In a field where teams need to distinguish themselves to attract much- needed talent, Pratt's cerebral style and pragmatic strategy has helped attract quiet professionals and repel the more swashbuckling elements found elsewhere in the autonomous drive space. 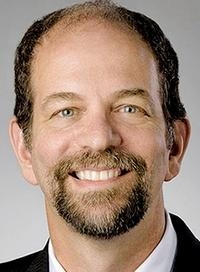 Pratt's long-term vision, his decision to center TRI's main locations around Stanford University, MIT and the University of Michigan, and his hiring of current professors to lead research has helped his relatively new operation catch up in the brutal competition for talent. By locating TRI upstream in the talent pipeline, Pratt's teams can focus on developing promising new researchers rather than competing over increasingly scarce and correspondingly expensive proven talent. Pratt also has brought in respected tech sector veteran Jim Adler to lead TRI's in-house venture capital arm, Toyota AI Ventures. By investing strategically in seed-stage startups in everything from autonomous mobility, robotics, big data and the cloud, Adler and Pratt can bring promising new talents and technologies into Toyota's long-term orbit. Toyota AI Ventures is even trying to create startups where none currently exist, launching "calls for innovation" in hopes of attracting new companies to fresh new technological challenges.